Allegations regarding a possible bribe paid in 2010 by the executives of the original Full Tilt Poker to soon-to-retire US Senator Harry Reid (D-NV) in exchange for the support and possible sponsorship of a federal online-poker bill are back in the news, courtesy of a new feature published by the Salt Lake Tribune that explores a back-channel money trail possibly leading to Reid. 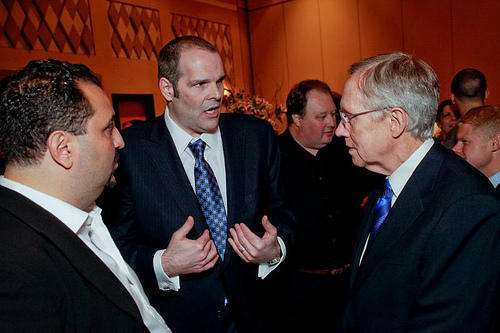 Full Tilt Poker co-owners Howard Lederer and Ray Bitar bend Harry Reid’s ear at a July 2010 fundraiser in Las Vegas. In a detailed investigative report, the SLTrib traces a possible path that echoes the original bribery claims first made public by infamous online payment processor Jeremy Johnson, via St. George, Utah’s now-shuttered SunFirst Bank. The SunFirst institution figured centrally in the 2011 “Black Friday” indictments and crackdown against the largest US-facing online poker sites. One of the bank’s vice presidents was among the 11 individual defendants in the case, along with other payment-processing figures and a half-dozen executives and owners of the targeted online-poker firms. Johnson, however, was not among those 11 charged, but only because he was already under indictment in a parallel FEC case involving his iWorks online marketing company, which co-existed with (and commingled funds with) the Johnson-controlled poker-processing operations. The alleged bribe came to light in early 2013, as a result of Johnson’s publication of his meeting with Utah’s then-assistant attorney general, John Swallow, in which various questionable activities were discussed. Included among them were references to a bribe paid by Full Tilt Poker to Reid back in 2010. The Salt Lake Tribune has continued pursuing the allegations, but from the angle of a possible federal blockade that has existed in Washington, DC, to possible shield Sen. Reid from corruption investigations. Johnson’s claims helped topple Swallow and his predecessor as Utah’s AG, Mark Shurtleff, from their lofty posts. However, charges brought in Utah against both Swallow and Shurtleff ultimately were dropped, with Utah prosecutors repeatedly asserting that a lack of federal cooperation killed the corruption cases. That included repeated requests made by Utah prosecutors for federal agencies to look into the Reid bribery allegations, since the Utah officials were busy looking into Shurtleff’s and Swallow’s activities. Instead of cooperation, alleged Davis County Attorney Troy Rawlings, the feds proactively killed any effort at looking into the Harry Reid part of the stories, despite at least the start of a possible evidence trail in support of Johnson’s claims. Rawlings continued pressing the possible corruption cases despite the dismissal of charges against Shurtleff and Swallow. The alleged payment channel from Switzerland to Reid is less solid. The SLTrib was able to obtain a registration document for a company in the Marshall Islands, Searchlight Holding, Inc., which Rawlings believes may have been in control of Sen. Reid or his associates. The SLTrib does not show evidence of a bank transfer between Mail Media and Searchlight Holding. However, the company was registered at the Marshall Islands’ Reston, VA office, just outside Washington, DC, on October 27, 2010. The company was created just a week before Johnson’s $2 million check was cut. 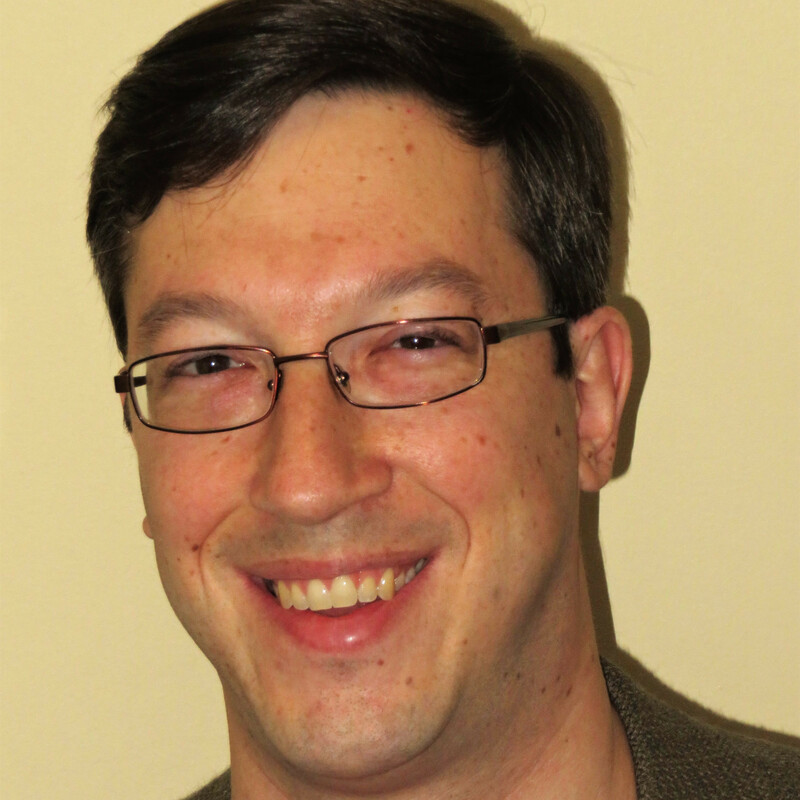 Reid was born in Searchlight, NV, and has previously named other organizations and business entities after his small hometown. Rawlings, the Utah-based DA, has asked for federal assistance regarding the true beneficial owner(s) of not just one Marshall Islands business entity (Searchlight Holding), but seven, all possible connected to Reid. To date, he has been stymied in his efforts. The ongoing effort by Full Tilt to curry favor with Harry Reid was already known to have started earlier in 2010, but additional info surfaces in the SLTrib piece. That includes an excerpt from a June 2010 e-mail by then-FTP-employed gaming attorney A. Jeff Ifrah to Johnson, urging Johnson to accept a lunch invite from Reid. In conjunction with the July 2010 meeting and fundraiser at Las Vegas’s Golden Nugget between Reid, several Full Tilt officials, and even the PPA’s John Pappas, Full Tilt CEO Ray Bitar is alleged to have used $20,000 in SunFirst (Full Tilt) money to make $20,000 in cash donations to Reid, using several “straw man” third-party donors. The Federal Election Commission has sued Johnson over this attempt to evade the individual donation limit of $2,400. The FEC case, which also involves Bitar, is still ongoing. Johnson: John Pappas, and Ray Bitar, owner of Full Tilt Poker. Swallow: Yeah… yeah, sure. I remember that. Swallow: Yeah. Well, I’ll check with Richard [Rawle, a now-deceased figure with connections to all of the parties involved, including Reid] and see… . Duly noted is the inconsistency between Johnson’s claim of “a million dollars” in his conversation with Swallow and later statements and evidence inferring that a $2 million payment was sent off to Switzerland and other destinations. The SLTrib piece also includes evidence that the $2 million payment was initially scheduled to be done in gold or silver, which Bitar and Johnson both possessed, but was only switched to a cashier’s check at a later date in 2010. 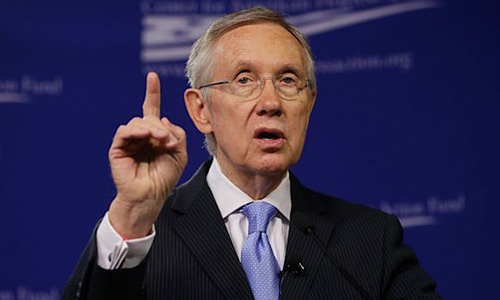 It’s uncertain if the latest allegations will trigger any renewed interest in investigating Reid. Various officials have accused Utah’s Rawlings of grandstanding in his efforts to fully investigate the matter. However, Washington DC’s pending shift to a GOP-dominated political environment may make the atmosphere more conducive to investigating the soon-to-exit Reid.